First Snow & A Birthday! Today was a busy day. 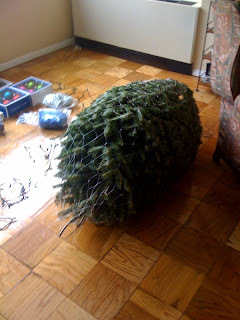 Guillaume left the house to get the Christmas tree! He brought it home and threw it on the floor, and left again to get the preparations for crepes, for tonight! Hooray! Now the tree is decorated, and Angela is waiting (im)patiently to have her Christmas decorating tradition crepes. 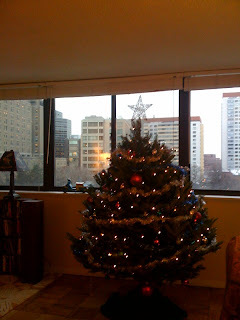 Tree looks wonderful! Don'd you want to keep it up all year?!! 0n a pas très bien saisi : Quid cette carte verte ? double nationalité, confirmation du mariage ? (il serait temps ! ), achat d'une action écologique.... ?